On Sunday, Intel told a court that it believed President Trump's immigration order was unconstitutional. On Wednesday, the CEO stood next to Trump in the White House and announced a $7 billion investment in a new U.S. factory. Intel (INTC) CEO Brian Krzanich said the investment was "really in support of the tax and regulatory polices that we see the administration pushing forward," which he thinks will be beneficial to domestic manufacturing. The full story is more complicated. 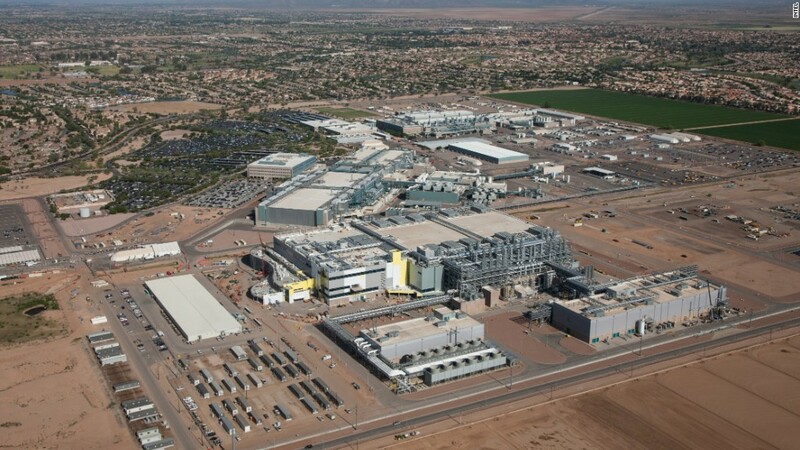 Intel previously announced a $5 billion investment in the same Arizona factory with former President Obama in 2011. That money was used to build the "shell" of the factory," but the project was left uncompleted due to a lack of "general demand for the product," according to William Moss, a spokesman for Intel. "We're making this investment now to meet demand that we now expect," Moss told CNNMoney. "That said, we certainly join other companies in supporting the administration's pro business and pro investment goals." While standing by Trump in the Oval Office, Krzanich said the new computer chip factory "will employ approximately 3,000 direct high-paying, high-wage, high-tech jobs at its peak and over 10,000 people in the Arizona area in support of the factory." Trump introduced Krzanich as the CEO of a "great, great company" and stressed the positive impact the investment would have on Arizona jobs. The announcement comes just days after Intel joined more than 100 other companies in filing court papers declaring Trump's executive order on immigration to be unconstitutional. "As a company cofounded by an immigrant, we support lawful immigration," Krzanich wrote in a tweet after Trump's executive order imposing a travel ban on seven Muslim-majority countries. "We will provide impacted employees with Intel's full support." In an email to employees on Wednesday, Krzanich noted the factory's value to Intel as well as the importance of engaging with governments around the world. "When we disagree, we don't walk away. We believe that we must be part of the conversation to voice our views on key issues such as immigration, H1B visas and other policies that are essential to innovation, Krzanich wrote in the memo, a copy of which was provided to CNNTech. Krzanich was one of about a dozen tech CEOs to meet with then President-elect Trump in December to talk about jobs, a centerpiece of Trump's campaign. Since then, Amazon (AMZN) has announced plans to create 100,000 new jobs in the U.S. Apple (AAPL) also pumped $1 billion into a massive technology fund from Japan's SoftBank Group, whose founder had previously committed to invest in U.S. hiring.